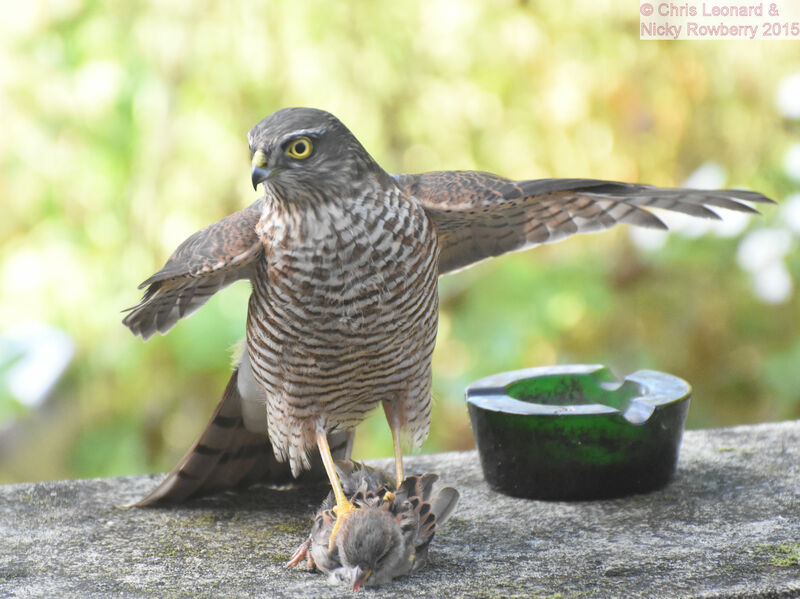 Well I wasn’t expecting this when I looked up from the sofa this afternoon – a sparrowhawk just outside the patio doors staring me right in the face. I don’t suppose the poor wee sparrow had been expecting it either and probably wasn’t quite as thrilled by the whole thing as I was. 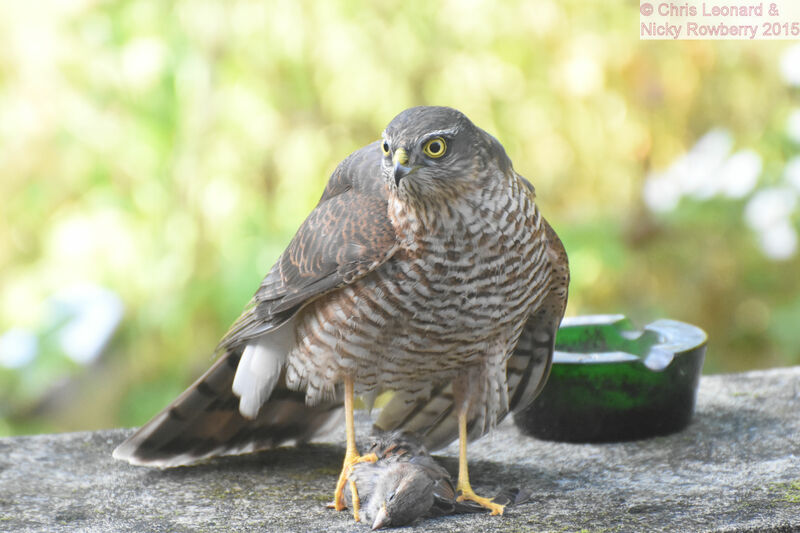 The sparrowhawk must have caught the sparrow in mid-air and landed with it on our stone bench (complete with feature ashtray – nice!) only about 2 feet from the door. It stood there seemingly pondering what to do next, while I yelled for the other half to go get the camera. 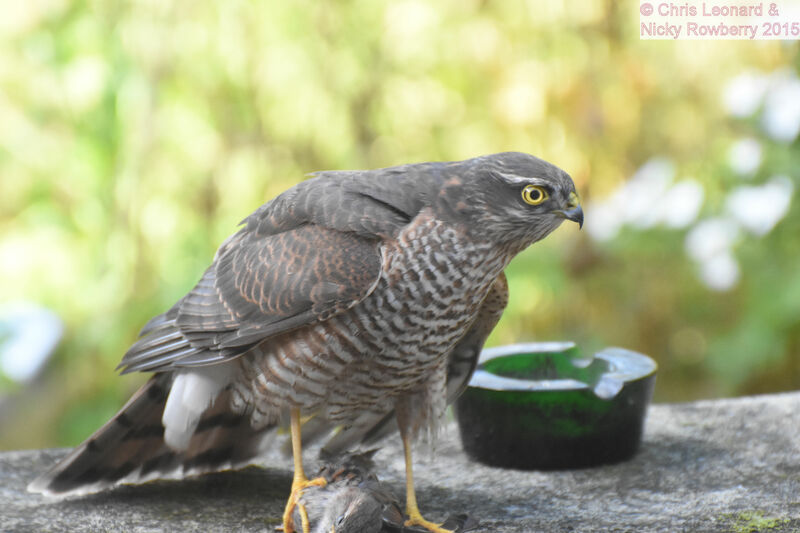 We never thought it would stay still long enough to actually get a photo, but it must have been in a photogenic mood – even turning his head so we got his best side. 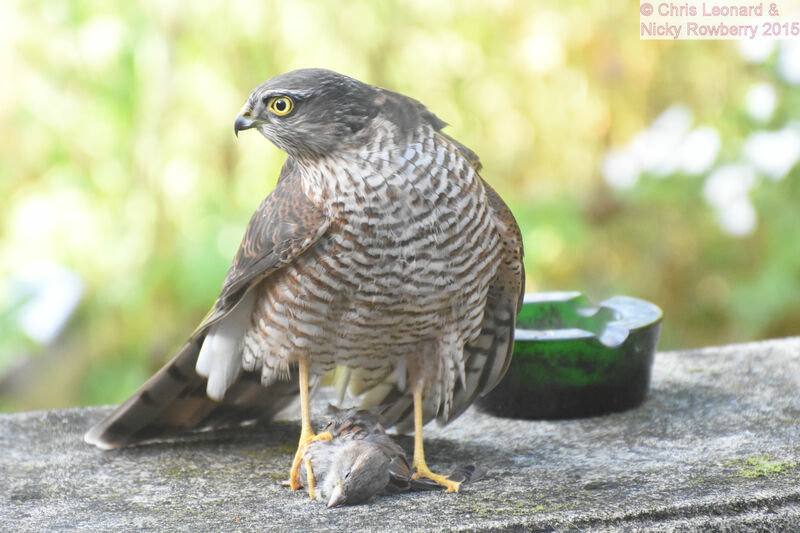 We’ve been feeding the sparrows for years and get lots in the garden, so I do feel a bit sad for the little victim, but that’s food chains for you! 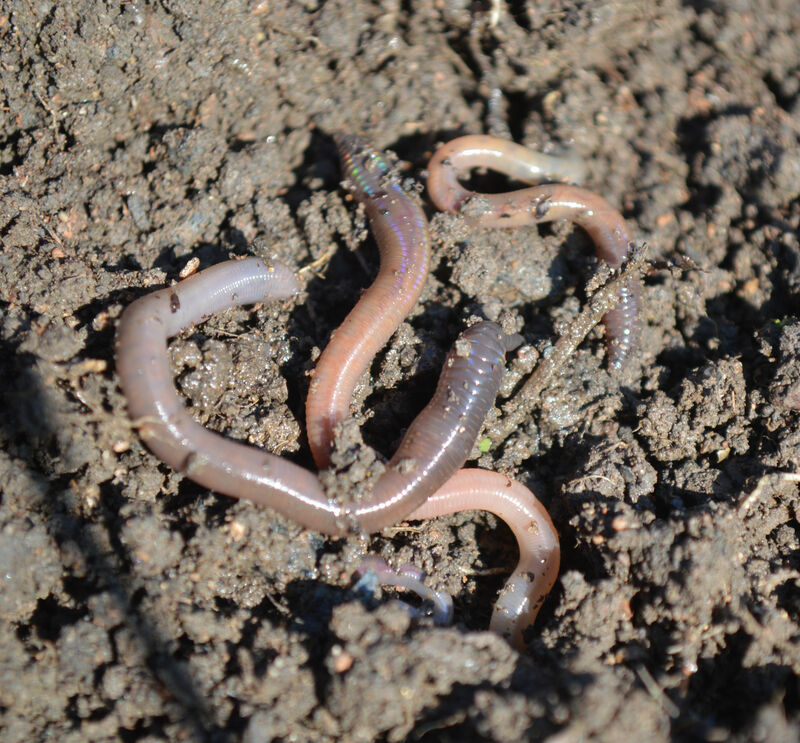 The Buglife charity’s Bug of the Month for September is the Common Earthworm. I know earthworms are probably at the lower end of the glamour scale when it comes to bugs – I also know that it may only be me that can possibly imagine a glamour scale of bugs! (butterflies would be near the top by the way) Nevertheless earthworms are probably some of our most important invertebrates, improving the structure of the soil and recycling nutrients. They’re not the most photogenic of creatures though and I’m not even 100% sure the worms I dug up here are Common Earthworms (Lumbricus terrestris), as it turns out there are quite a few similar species. But whatever they were, they were doing a good job of aerating our vegetable plots, enabling the weeds to grow even more enthusiastically. While digging up the worms for the photo, I disturbed another toad who’d been minding his own business amongst the lush undergrowth growing where the veg should have been. 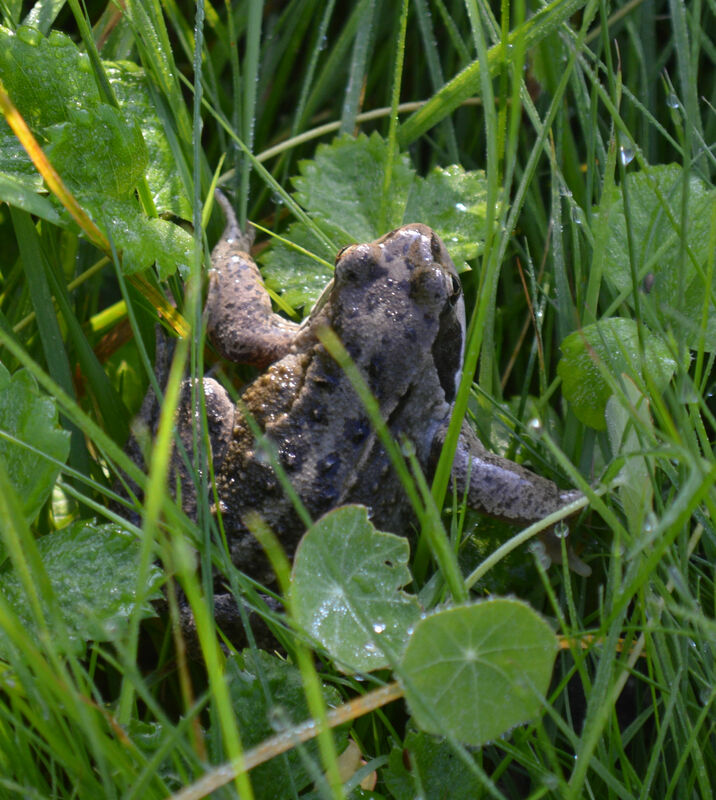 Thankfully the garden fork missed him or we’d be getting a reputation in the amphibian world as toad harassers after last month’s incident with one of his comrades. Hopefully he forgave my intrusion when he found the pile of freshly dug worms – being bug of the month doesn’t save you from toady termination. For the first time I’d tried the sugaring technique, daubing our apple tree with the sticky sugary concoction – and success! 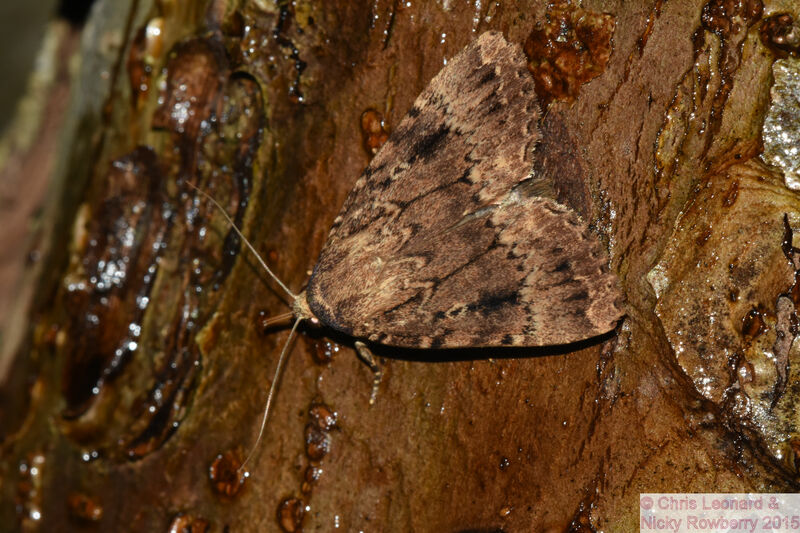 This beautiful Copper Underwing just couldn’t resist the sweet smell and spent a long time filling his proverbial boots from the tree. I was a bit worried the moths might just get stuck in the sugar, but thankfully morning came and no sign of treacly embalmed insects. 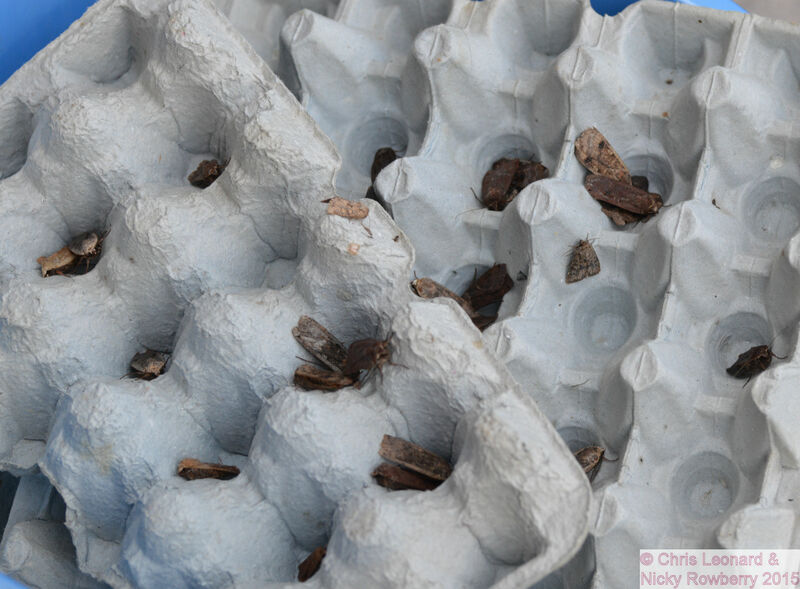 The vast bulk of them were Large Yellow Underwings (156 individuals) which tend to dominate the traps at this time of year. 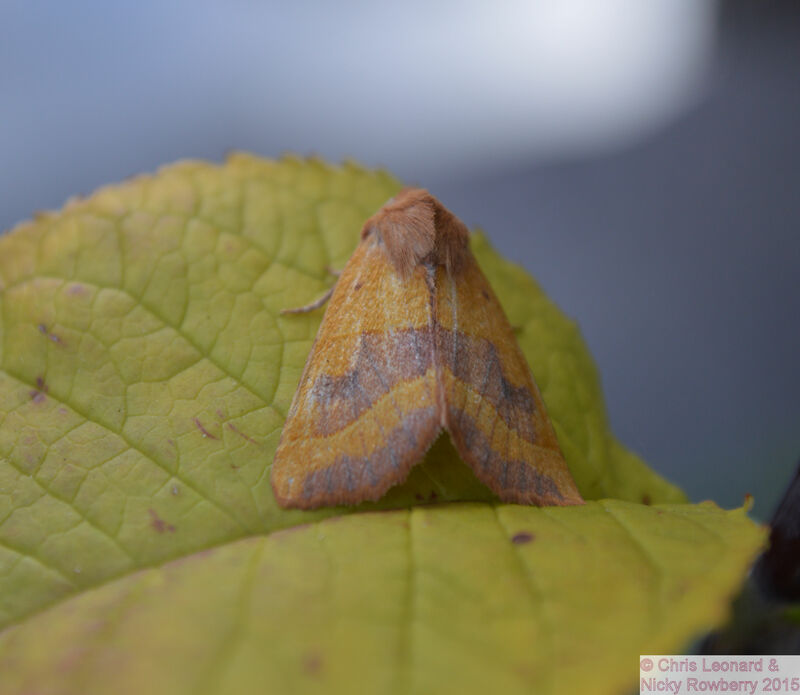 But amongst them were a few other beauties, like this lovely autumnal looking Centre Barred Sallow. These pretty moths are supposedly coloured like this so they are camouflaged against the autumn leaves. 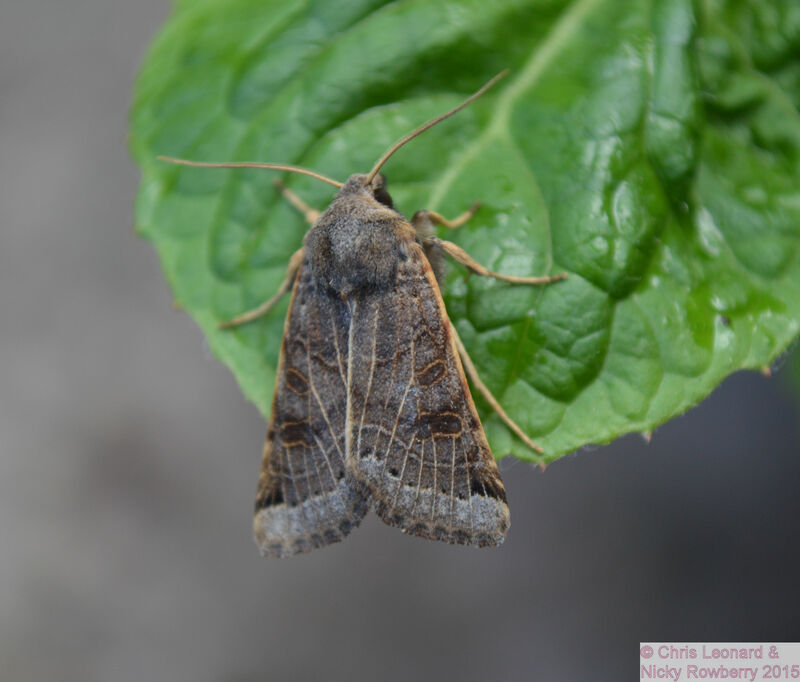 Also popping up were these Lunar Underwings – I have a soft spot for these probably because the name reminds me of the “Giant Lunar Moth” from the Dr Dolittle film (now that would be a sight at the moth trap!) 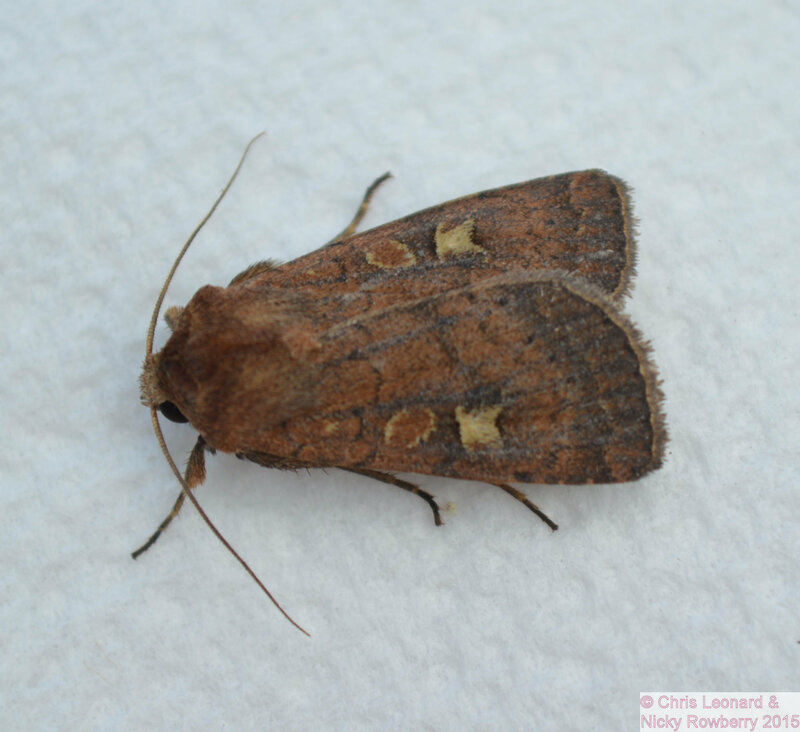 Hopefully Moth Night will have been a success all over the country and provide plenty of useful data for their conservation. It’s Moth Night! The annual celebration of all things mothy and I feel like a kid on Christmas Eve waiting to see what the morning brings in my moth trap. Moth night actually runs for 3 nights, which the pedant in me finds vaguely irritating, but I guess Moth 3 Nights just didn’t sound right, so I’ll try to let it go! 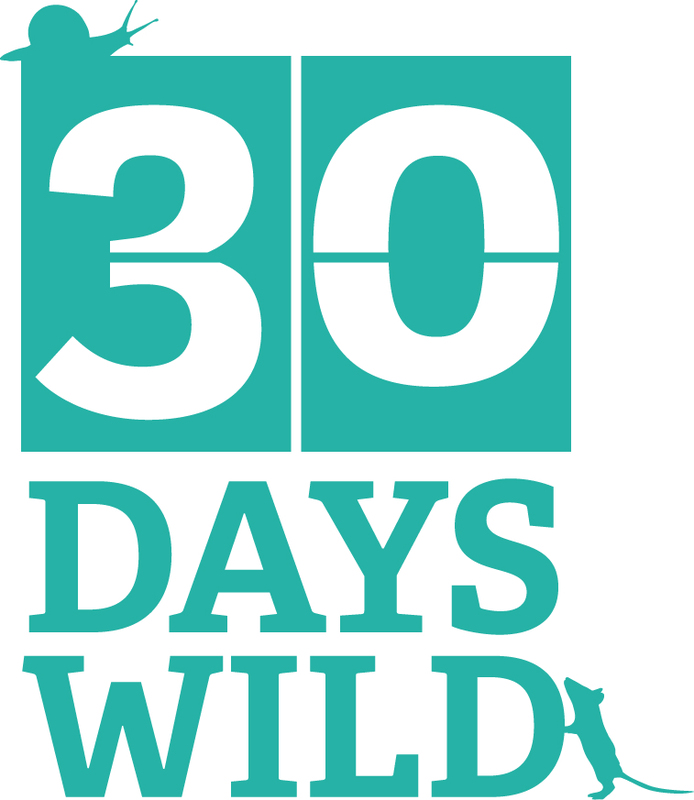 The theme this year is migrant moths, with one in particular gaining much publicity – the Convolvulus Hawkmoth which is huge. 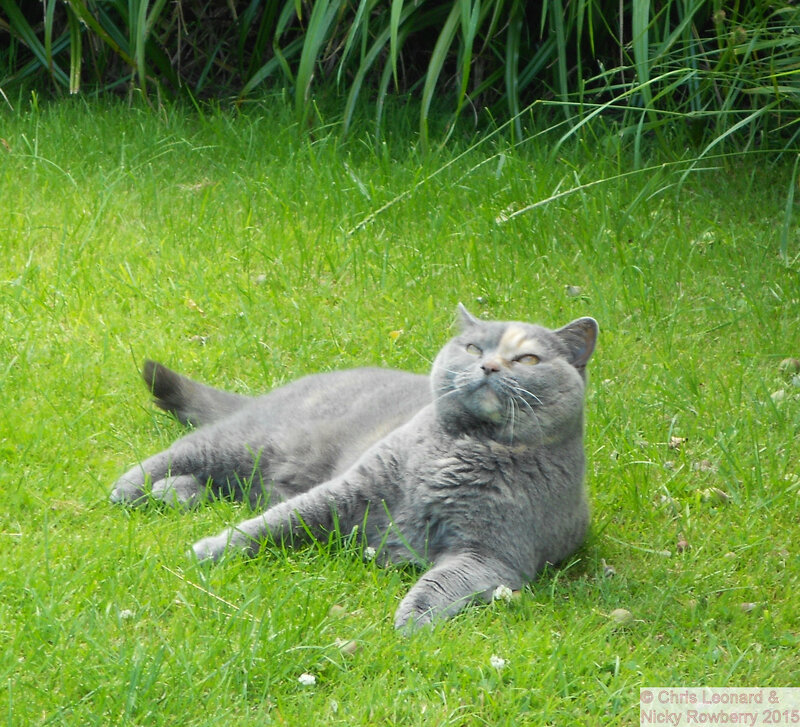 You can apparently tempt it into your garden with tobacco plants and alcohol, so I’ve got the other half sitting in the garden drinking his beer and having a fag to lure them in – what moth could resist that! Moth (3) night officially started last night and a Square Spot Rustic moth obviously took this as his cue as he appeared on the shower curtain while I was in the bath last night. The photo here is not of the same specimen (I don’t tend to have the camera in the bath with me, that would be too weird) but of one photographed last month. 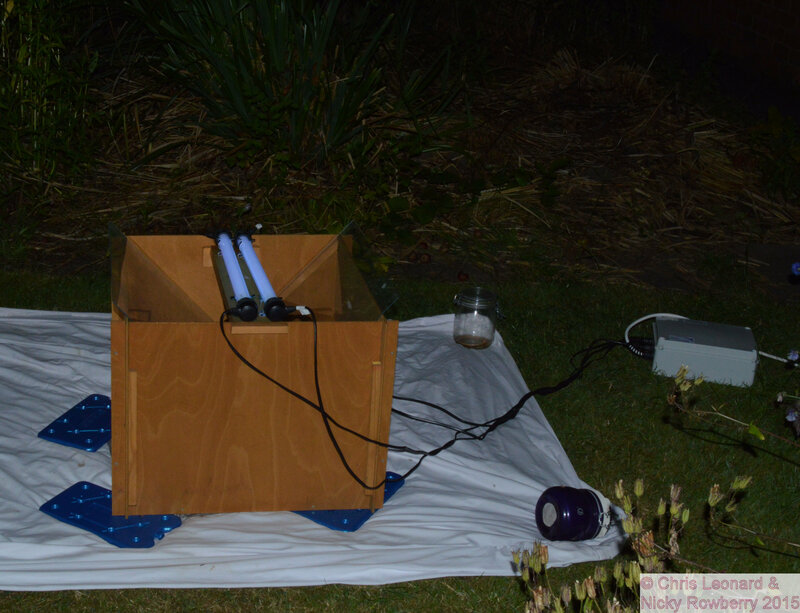 So I’ve got the moth trap out in the garden tonight and will run two more tomorrow night. I’ve also painted various bits of wood around the garden with a disgusting concoction of treacle, beer and sugar which is supposed to attract certain species. I’ve just got to remember where they are when I’m stumbling around in the dark, or I’ll end up stuck to one like a giant fly on sticky paper! Hopefully I’ll be able to post some more mothy photos after the weekend if I’m not stuck to the tree.